Rainlendar is a calendar application that doesn’t take up much space on your desktop. 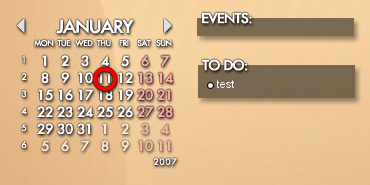 You can use it to keep track of events and tasks, and with the pro version you even can sync with network calendars. 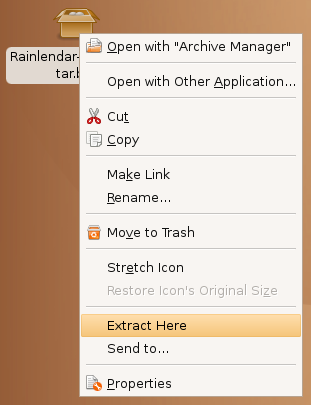 Installing rainlendar on ubuntu is extremely simple. Just download the file and extract it wherever you feel like. 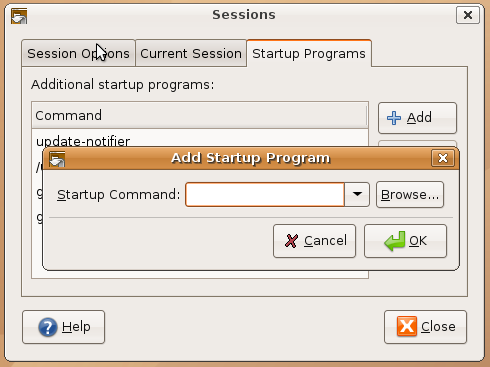 Click on Startup Programs, and click the Add button. Use the browse button to find the directory that you installed rainlendar to, and click OK.